Eurasian beavers in Scotland are a native species. Castor fiber were made extinct by humans in the UK around 400 years ago as a result of hunting. Eurasian beavers are now becoming more widespread throughout their native range with recovering populations in many countries including; France, Norway, Sweden, Finland, Estonia, Latvia, Lithuania, Belarus, Ukraine and Poland. As Eurasian beavers are native to us in the UK they evolved alongside our native trees; with tree species such as Willow and Alder coppicing and regrowing after being cut by beavers. It is also worth noting that beavers are not carnivorous and pose no direct threat of predation to other species. In Argentina, the North American beaver Castor canadensis was introduced in the hope of creating a fur industry. The fifty beavers imported from Canada in 1946 have had a substantial impact on the surrounding area as they have no natural predators in South America where they are non-native. Because of this the population has expanded into Chile and possibly further where there is substantial suitable habitat. 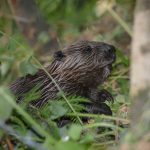 However the native flora and fauna have no suitable defences against Castor canadensis as they did not evolve together, and millions of hectares of indigenous forest are threatened by beaver flooding and tree felling. 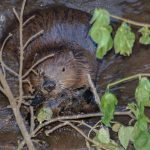 This situation is an important example of human- induced ecological disaster, North American beavers would not have arrived in Argentina of their own accord and therefore it is people who must solve this environmental problem. In their native range beavers are a keystone species creating wetlands which are habitat for many other important species. Beavers also carry out ecosystem services such as flood attenuation and sediment filtration. 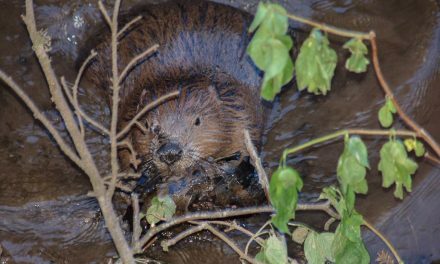 Negative impacts of beaver damming and cutting can be mitigated humanely by tree wrapping and installing flow devices to allow wildlife and habitats to function naturally.